You are annoyed and cannot enjoy your longboard as it should be. What do you do? A boards which you have been using for a while (or sometimes brand new longboards) can start to produce a squeaking sound. When you hear your board squeaking, it is usually the rubbers in the truck that are too dry. 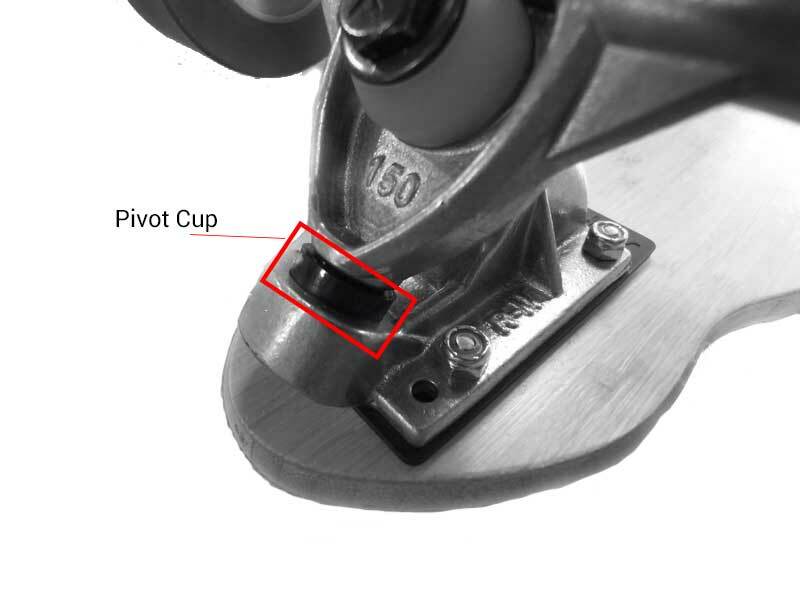 The hanger of your trucks turns in the pivot cup and that makes the noise. It is also possible that the bushings are too dry. You need to take your trucks off your board en clean them with a cloth. Get some skate wax (can also be candle wax as long as its paraffin based) and put a little between the rubbers in your pivot cup. Wax is better then oil, as it doesn’t attract dirt as fast. 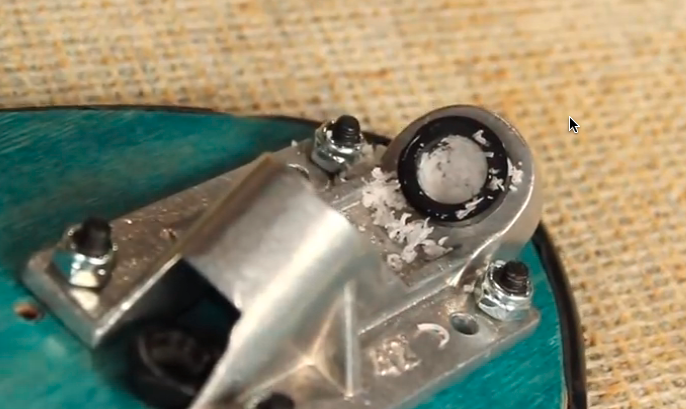 When you put your longboard back together it is possible to get some flakes from the wax, but that will go away. If you have not done this before it is best to take off one truck at the time and fix it first before taking off the next one, you can always see how to put it back together. It is really simple but you have to be careful to do it the right way.